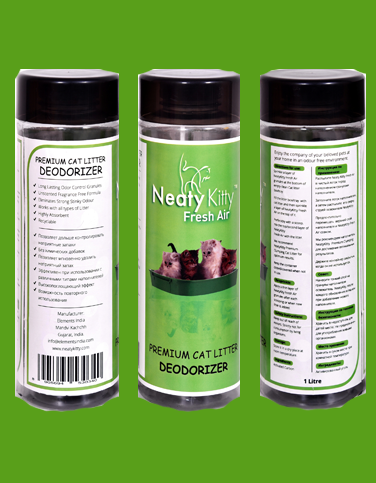 Premium Quality NeatyKitty Fresh Air Deodorizer naturally removes stubborn cat litter box odors. Works with all types of cat litter including clay, scoopable and natural. Are you tired with the awful smell of your cat's litter box and surrounding area? Using harmful chemically strong fragrance to get rid of Stinky smell.